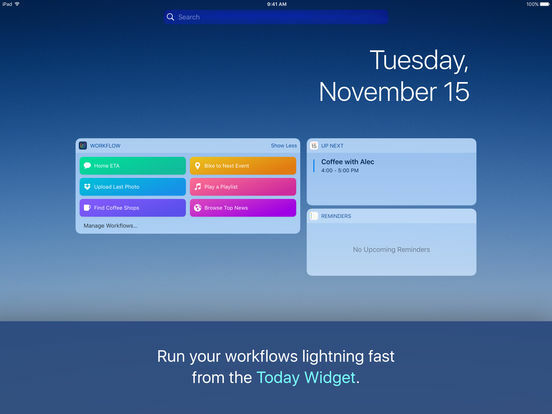 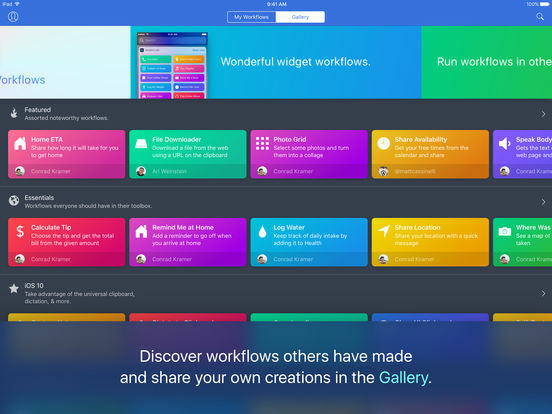 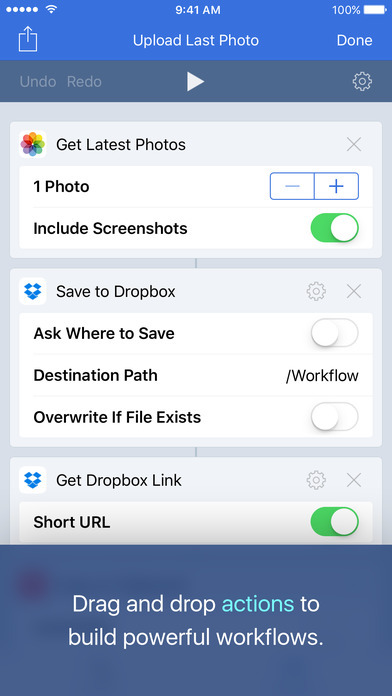 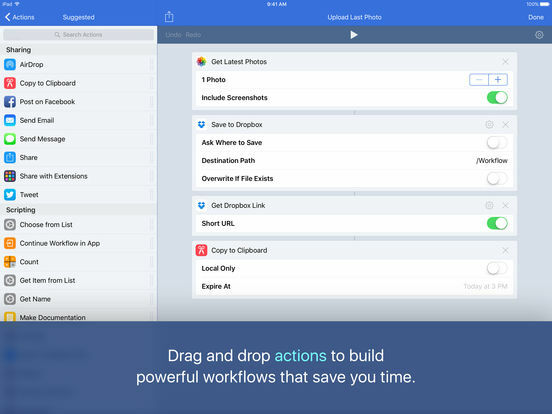 Workflow 1.7.2 includes updated file actions, with expanded support for Box, Dropbox, and iCloud Drive. 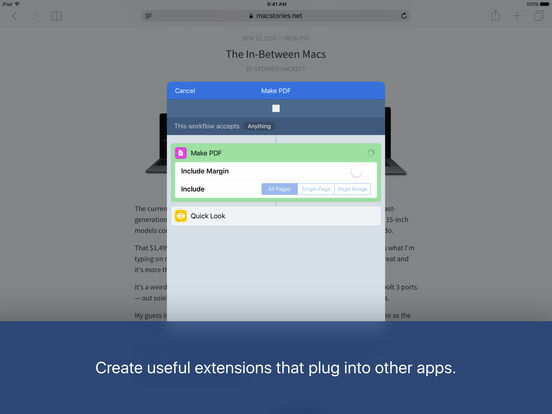 And you can now get the contents of sheets in Ulysses. 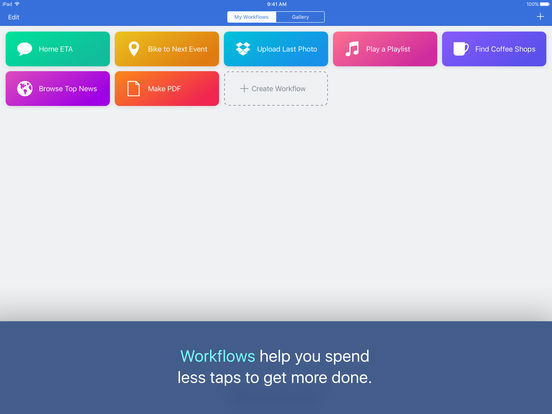 We fixed a lot of bugs, too.